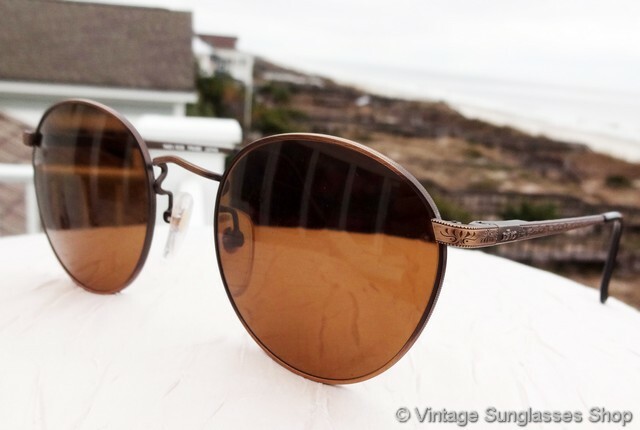 1 Revo 1401 036 Muir sunglasses from the Revo Degrees Collection were a small production run that combined a beautiful etched copper frame, tortoise shell ear pads, and brown round Revo lenses for a stylish and elegant look. 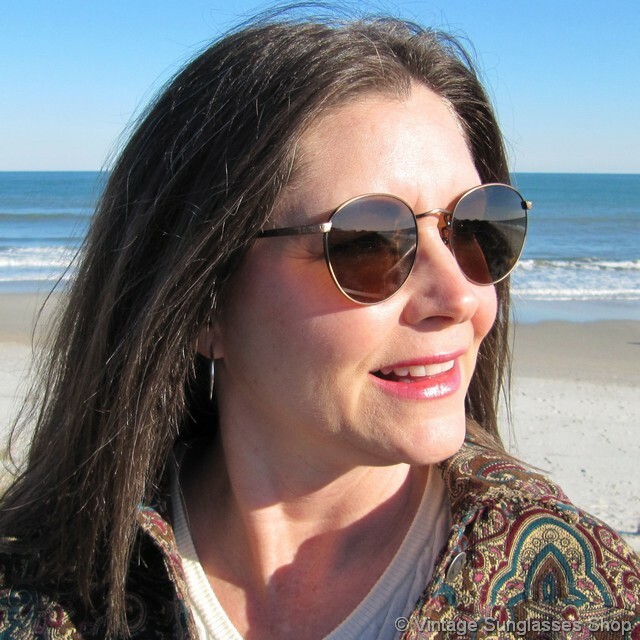 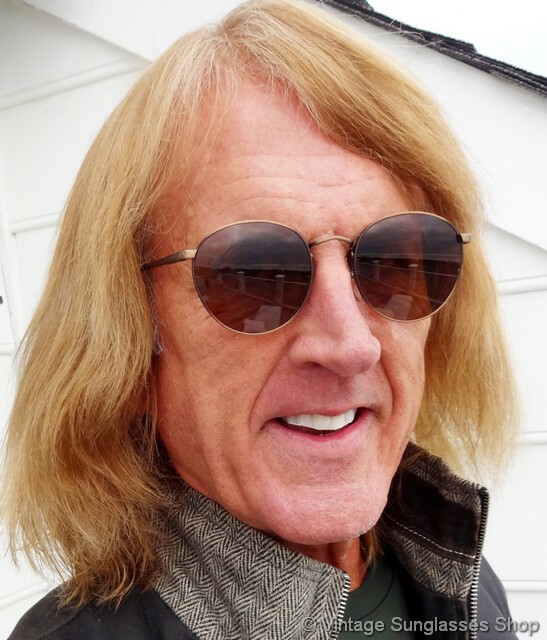 We really like the mix of shades of brown in sunglasses with some tortoise added for flair, and it's a nice color combination for people regardless of hair color. 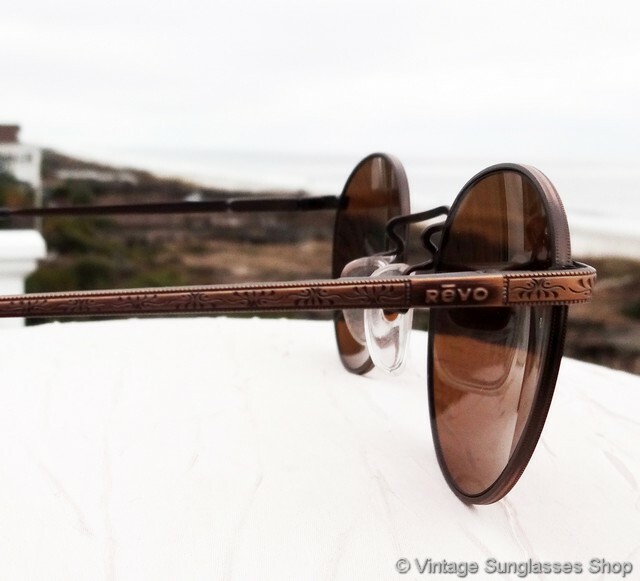 The etched copper frame is rather difficult to find among vintage Revos, and we love the etching on the Revo 1401 Muir sunglasses and the way the Revo logo is integrated into the etching on each ear stem near the spring loaded hinges. 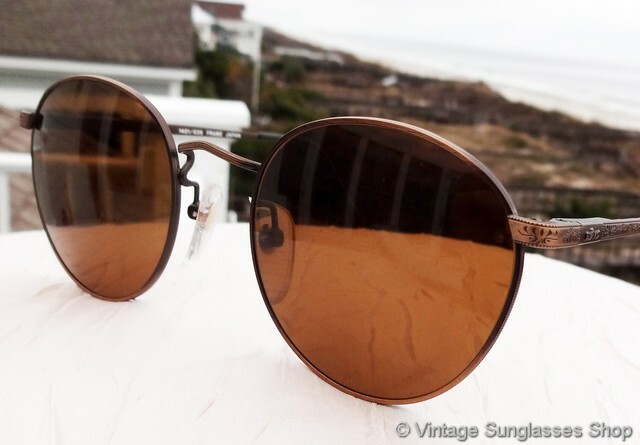 The frame measures approximately 5.25" temple to temple, and the lenses measure approximately 1.875" in diameter. 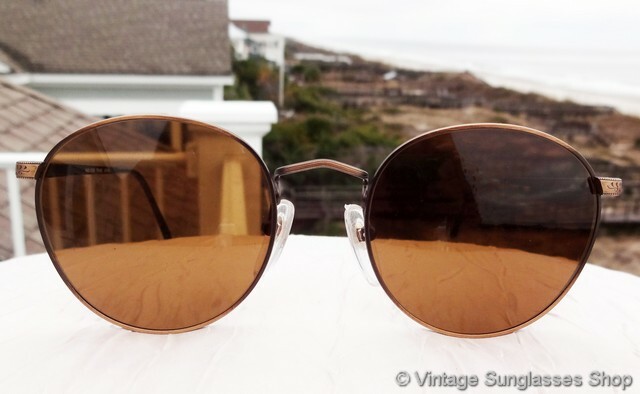 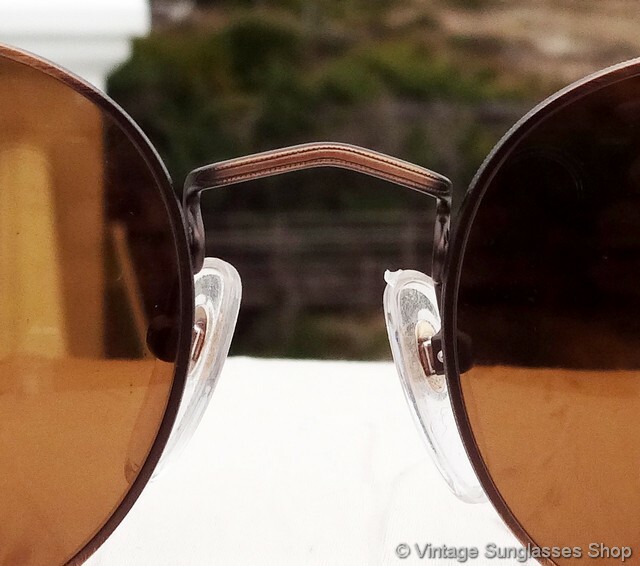 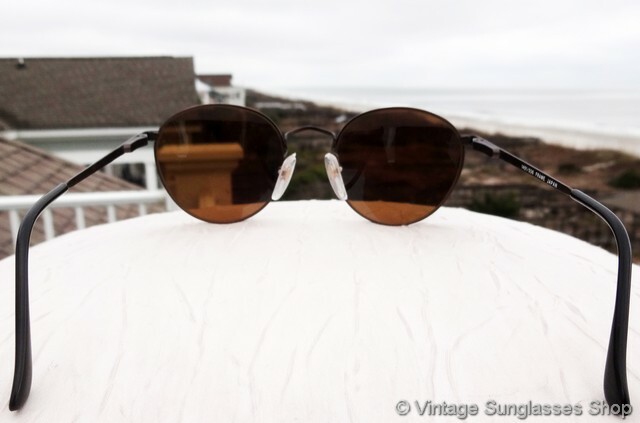 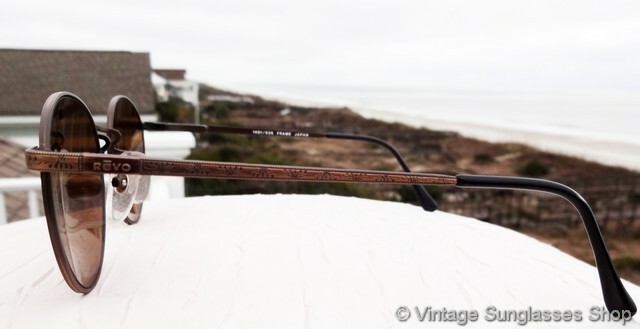 These vintage Revo 1401 036 sunglasses are all original, with the inside of the ear stem marked 1401-036 Frame Japan and direct from an amazing collection of vintage Revo sunglasses in Malibu, California. 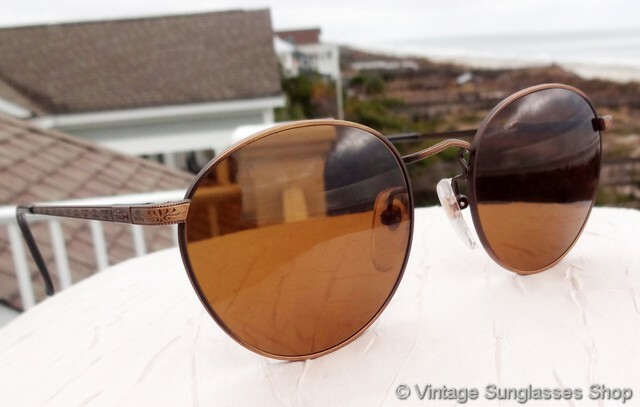 2 Step up another level beyond our already unequaled vintage condition standards with new old stock Revo 1401 036 Muir sunglasses in mint, unworn condition.